I honestly would never condone a man beating his wife or anyone beating anyone else i was just trying to get across that I admired George the sportsman, George the charmer. he was very flawed and an alcoholic and as someone pointed out probably very insecure and went with beautiful women to show he could .. bur he did joke about it and took the p. out of himself. as for George the baddie i prefer not to dwell on that as I stated no one is perfect and he was his own worst enemy. the ladies loved him and he could get anyone . he wasn't my type but I could. see his attraction to those who liked the superficial type of life and the fame . many of his ladies made money selling stories . as for the name of the Airport I have no opinion in that as I have not lived in Belfast since 1970 so do not know if the people of Belfast were consulted or otherwise..I am not religious at all so wont be praying for anyone or for myself . he was what he was . just a flawed human being more so than a lot of us as we are all still here and we've not been in the public eye .we've made our mistakes in private . Do you think it right, that the City Airport was named after him ? Do you think the Airport should have put the naming out, for public consultation ? I will pray for George the next time I am at mass. My brother in-law was an alcholic, beat his wife and children. He was a proud man who lost his job and turned to the bottle. It eventually led to his young death. RIP. Its a disease for sure. Yet, putting people on pedestals with a history of abuse, leaves us all blind. Truth must conquer. Their must be consequences for wrong doing. Otherwise, we set precedents that are wrong, and give nods and winks to future wrong behaviour. 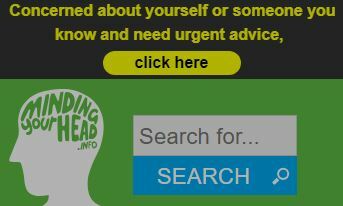 This is a very valid question, Tours. I'm of the opinion that it was right to name the airport after him. 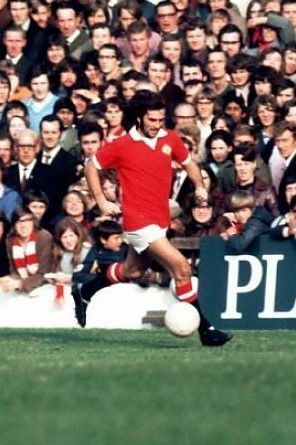 N.Ireland is tiny in a global sense but the name George Best resonates positively around the world. We can all nitpick the man's flawed character, but ultimately his legacy was his supreme footballing skill and the happiness he brought to millions. yes he was great and also a pity of him in the end , no one really wants to be alcoholic some times the drink gets the better of them. 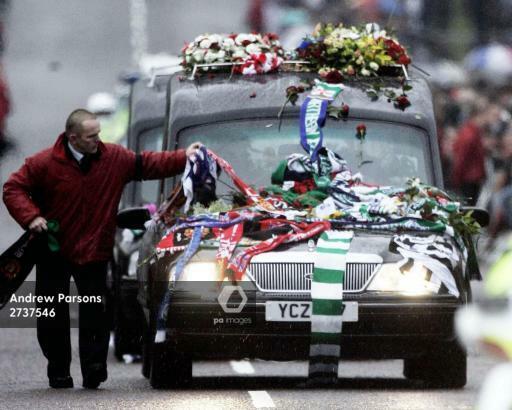 "A city mourns for the Belfast Boy" "By Nuala McCann" "BBC News"
"His was a homecoming with a touch of that magic that lit up the glory days." 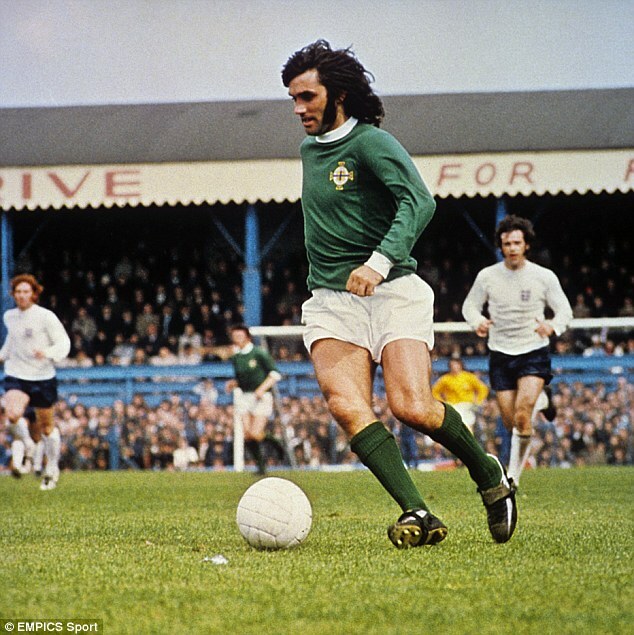 "Final farewell to football legend"
"Northern Ireland football legend George Best has been laid to rest after an emotional funeral service at Stormont in Belfast." 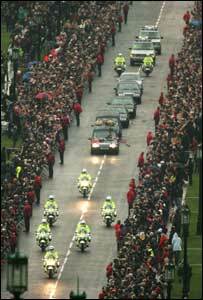 "Thousands lined the route to Stormont"
"The crowd threw flowers and scarves onto the hearse"
"George Best's coffin is carried past lines of young footballers into Parliament Buildings in Stormont"